It looks like those of us who want aftermarket wheels for our Performance with Performance Upgrades are going to either need specially-machined wheels, or small spacers. @Mad Hungarian , thoughts? PSA: Not sure if this has been mentioned here but the Performance brakes apparently have thinner hats (to save weight? ), and therefore create a ~2-3mm lip ring (69.5mm diameter) around the center bore (picture of mine below). Long story short: I noticed this issue about a month ago as soon as I removed the stock 20's to mount my aftermarket 19's. So I tried 5mm spacers to clear the lip, but only got 7 turns of lug nut thread engagement with my wheels (drove on those for about a week, but it made me nervous), so I ordered 3mm spacers and now get roughly 9 turns (13.5mm) of engagement, and they have been working fine the past few weeks. The stock 20's have a machined ring and +35 offset to clearly accommodate for this, but a few less observant people have tried mounting aftermarket wheels and had severe vibration (and safety issues!) because the wheels were not flush against the hub, so please be careful. The last photo below shows the initial 5mm spacer I tried before swapping for 3mm. Thats an issue for sure. I'm personally not a fan of spacers (or centering rings). It will be interesting to see different solutions. As an aside thats also an interesting way to mate the 2 piece hat and rotor. Just like a splined shaft. It is strange that they did this. Seems the easiest is to just have a center bore of 69.7mm or greater and use hub centric rings as needed. Hoping the T-Sportsline wheels work. Has anyone installed hubcentric aftermarket wheels on the AWD Performance Model with performance upgrade? Someone posted on a facebook group that in addition to the main hub that protrudes 64.1mm, there's a 3mm lip right at the rotor hat that will not allow the wheel to sit flush unless it's machined similar to the 20" stock wheel. Apparently this applies to ONLY the Model 3 Performance with performance upgrade package. All others are fine. not fit correctly. Thanks in advance for your feedback. I'm currently communicating with Tim (from Stance wheels) and Rick (from wheelwarehouse.com) on purchasing a 20" wheel/tire package for my ride.. they're well aware of this "3mm nuance", have done several of these vehicles so far, and will make sure the wheels have a correct hubcentric fit. Let me know if we can help you. Tim is a personal friend of mine from our early days. 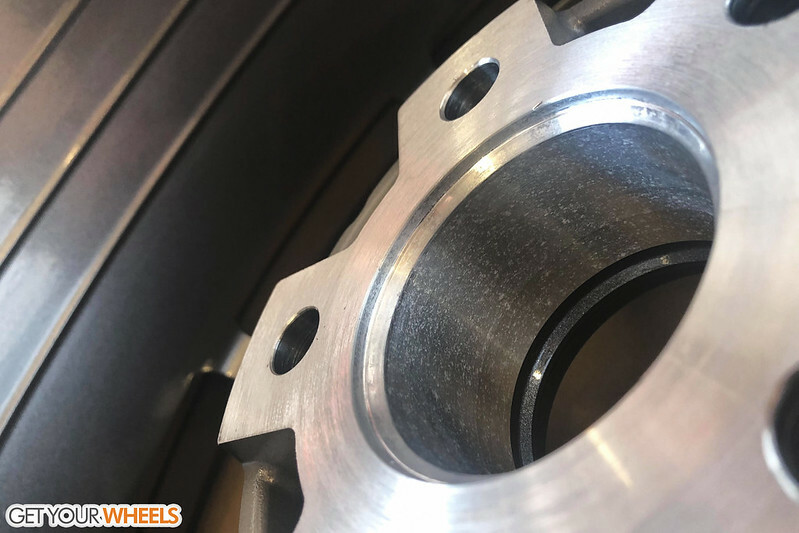 As for the 3mm lip for the step in the hub center, we have already found a solution for owners looking for aftermarket wheels with hub centric abilities. 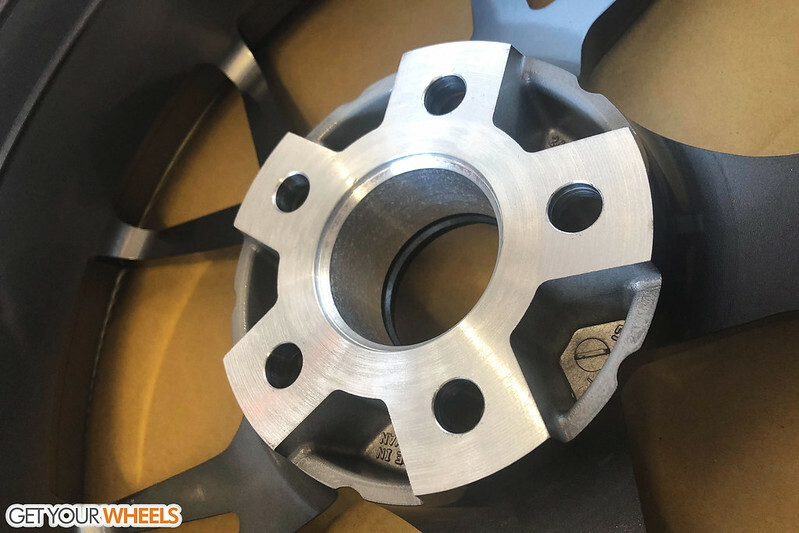 If any Performance Upgrade owners are wondering about aftermarket wheels, we added a chamfer on the center bore of the wheels to accommodate the step on the cars hub. This was done and ordered on a Stance wheel but can be ordered like this from Vertini, Avant Garde and VS Forged. Other aftermarket wheels that come hub centric will need to be machined out for the step. Any other aftermarket wheels that require hub rings, we'll have to look into a solution for a specialized hub ring. Comparing the Stance SF03 and the Avant Garde M610 rotary forged.. aesthetics aside, are they about the same in terms of quality? My main concern is strength and weight of the wheel. I know the stance wheel (20x9) is about 24 lbs, what about the Avante Garde? thanks in advance. they are the same in terms of quality and the M610 will come out to same weight. Do you know if any of the 18inch Stance models fit both the hub and over the brakes? I assume all the 19s would fit? Best to contact wheelwarehouse.com and ask them directly. 18X8.5 from Stance's SF series and Vertini's RF series will be close but would work with no problems. According to measurements we have and the measurements of the wheels, it should be enough space for a pebble to fly through. I'm getting my 20mm and 25mm spacers milled this week to fit over that 2-3mm lip. Will post some photos when I get them back.